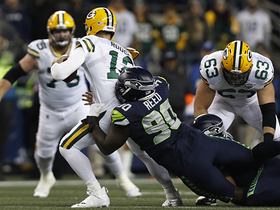 Analysis: Calitro totaled 45 tackles (32 solo) and a pass defensed in 16 games during his 2018 campaign and will provide some depth at linebacker for the Seahawks heading into offseason activities. With K.J. Wright on the books for two more seasons, it seems unlikely Calitro will see a major boost in playing time this upcoming season. The Seahawks tendered Calitro a contract for 2019 on Wednesday, John Boyle of the team's official site reports. Analysis: Calitro appeared in all 16 regular-season contests for Seattle in 2018, logging 45 tackles and a half sack. The 25-year-old played over 40 snaps in only four games, during which he averaged eight tackles. With K.J. Wright set to test his market in free agency, Calitro could be in line for an increased role during the upcoming campaign. 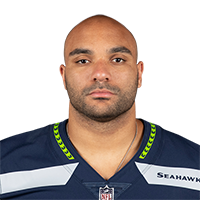 Calitro recorded 45 tackles (32 solo) and a half sack in 16 games for the Seahawks during the regular season. Analysis: Calitro saw 10 or fewer defensive snaps on nine occasions but he was featured more prominently in the linebacker rotation when Bobby Wagner and K.J. Wright missing time with injuries. During the four games he played over 40 snaps, Calitro averaged eight tackles. The 25-year-old is under contract for next season and could contend for a starting role if Wright walks in free agency. Calitro is poised to step into a larger role following the loss of Mychal Kendricks (leg) for the season, Brady Henderson of ESPN.com reports. Analysis: Calitro seems to be the primary beneficiary with K.J. Wright (knee) and Hendricks currently sidelined. Last week, Calitro only received one defensive snap but had regularly earned 20-plus defensive snaps prior to Kendricks' brief return. Just 24 years old, Calitro possesses plenty of upside but will have to grow up quickly as Seattle looks to cement a wild card berth over the next few weeks. Calitro had a career-high 10 tackles (seven solo) in Seattle's 43-16 win against the 49ers on Sunday. Analysis: The Villanova product saw a total of 49 snaps (40 on defense) in the game and made the most of his opportunity. Though he sits behind fellow middle linebacker Bobby Wagner on the depth chart, Calitro has certainly carved out a role in the Seattle defense. Calitro signed a contract with the Seahawks on Wednesday, John Boyle of the team's official site reports. Analysis: Calitro spent some time on the Seahawks' practice squad last season, so the linebacker should have some familiarity with the system. He also spent time with the Jets, 49ers and Browns last season. Calitro was waived by the Browns on Friday, Nate Ulrich of the Akron Beacon-Journal reports. Analysis: Calitro is yet to appear in an NFL game since going undrafted out of Villanova in 2017. He'll become an unrestricted free agent if he passes through waivers unclaimed. 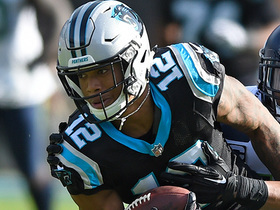 Carolina Panthers quarterback Cam Newton leads the charge as wide receiver DJ Moore takes a reverse for a 7-yard gain. 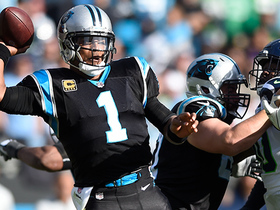 The Seattle Seahawks defense is able to stop Carolina Panthers quarterback Cam Newton just short of the first-down marker on a fourth-down attempt.